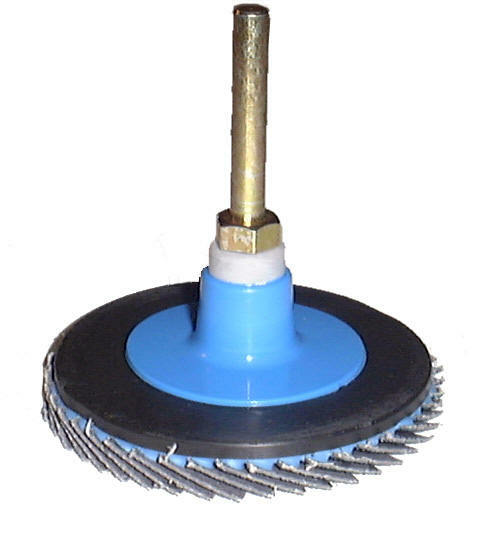 Mini flap discs are ideal for light grinding and finishing in one operation. The discs have a Type R quick change button for use with any Rolloc type holder. We offer these discs in two styles. Click here for our selection of Type R holders. The flexible outer edge is ideal for sanding concave shapes and getting into tight areas.